Once in a while, we delete important or not so important files by accident and then we look for ways to get back deleted files. Many people may ask the question can they recover deleted files. Many experts of recovery companies will tell you that it is quite complicate and difficult task and needs much experience, and then they charges you a great sum of money to help you retrieve deleted files. I believe in that many users must have heard of this before. In fact, however, computer users are able to recover deleted files on their own. There are lots of websites that introduce solutions to undelete files and some are easy to learn. At present, recovery program are strongly suggested by many posts, articles and IT technicians, because these applications are capable of recovering deleted or formatted files and requires little human operations and experience. Fortunately, there are a great mount of software available for download on the Internet to undelete files, folders and partitions. Most of these programs are of average and affordable price to common users and some are even for free. File recovery software such as Eassos Recovery possesses great features. How to recover deleted files? First, you should download Eassos Recovery and then start it following its instructions. Present file undelete tools are largely different from their older siblings. While bearing the same undelete file label, they feature completely new engines under the hood. This program offers a specialized recovery mode for retrieving deleted files and it has wizard interface guiding users throughout the recovery process. All deleted can be recovered? The answer is NOY AWLAYS. 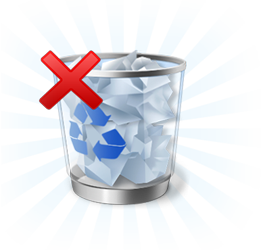 If files are just deleted from Recycle Bin or USB drives, then you get big possibility to recover them. But if hard drive gets badly damaged to the point that it can’t be detected by computer or it freezes computer when it is connected to hard drive, then lost files can’t be recovered by software. Apart from recovering deleted files, we should form the habit of file backup which can be precautionary measures to avoid data loss. It is quite significant to back up any files that are valuable to you, including documents, photos, self-made videos, music, applications, projects, etc. File backup is sufficient to refrain from data loss for most of situations, but the backup file can also go bad or get deleted. Besides, your external hard drive or USB flash drive that holds backup files can be damaged or corrupted. Thus it is necessary to have file recovery software installed on computer to undelete files no matter when files get lost. The whole tedious recovery process is reduced to five steps, which can be learnt in a couple of minutes. This entry was posted in Data Recovery and tagged how to recover deleted files, undelete files by EASSOS. Bookmark the permalink.